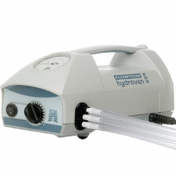 Flowtron Excel DVT Pump BUY DVT Compression Pump, Huntleigh DVT Pump, Flowtron Excel Pump, 247001, 247001-L5552, DVT30Sa, Flowtron Excel Compression Pump. 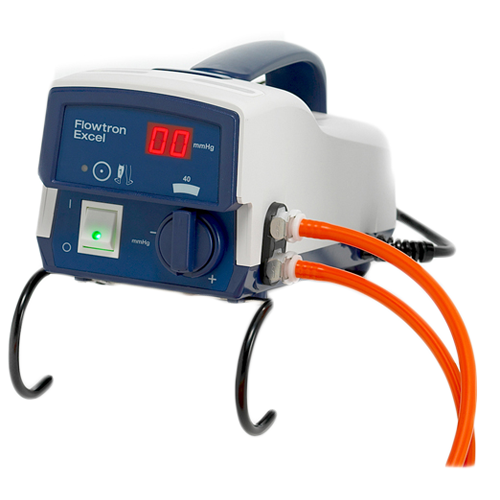 Flowtron Excel DVT Pump is a lightweight compression pump for Deep Vein Thromboisis (DVT) therapy. 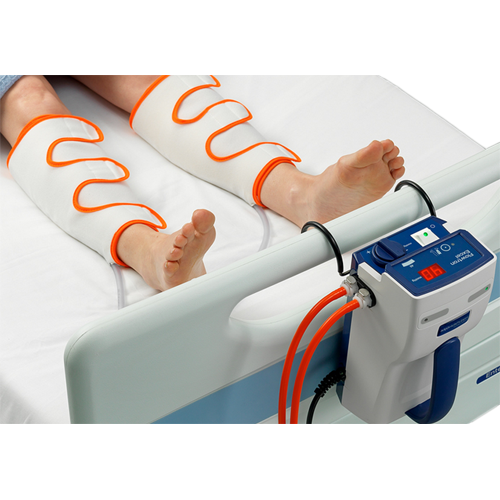 This compression pump is specially designed to serve as a bedside DVT pump. 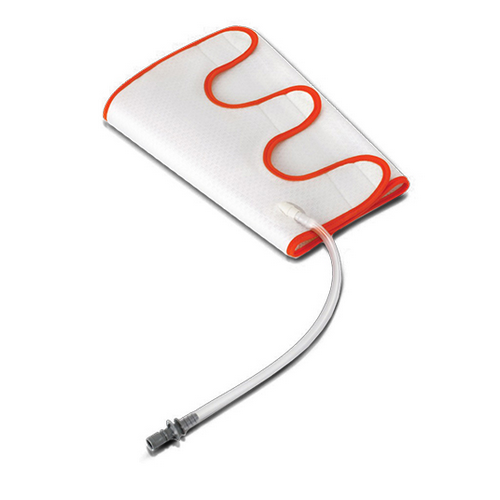 The Flowtron Excel DVT Pump aids in the prevention of deep vein thrombosis (DVT) through a compression system that consists of a DVT pump and DVT sleeves. 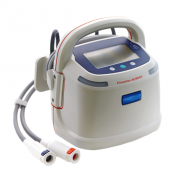 Manufactured by Huntleigh, the Flowtron Excel Pump provides calf, thigh or foot compression for DVT therapy which increases blood velocity in the deep veins, reducing stasis and stimulating fibrinolysis to prevent and break down clots. 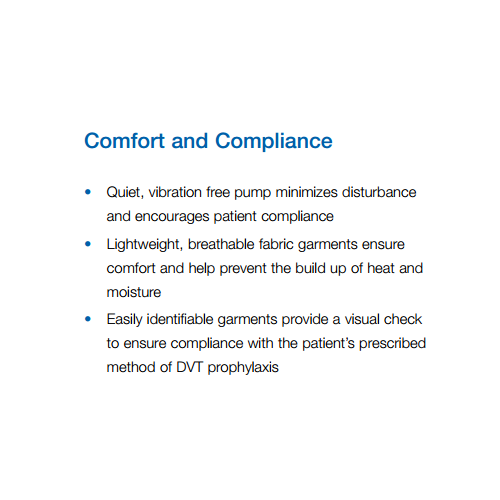 Flowtron Excel Compression Pumps attach to special DVT Garment Sleeves that are ordered separately to match the need and size of the patient. There are calf garments, thigh garments, and foot garments to select from. 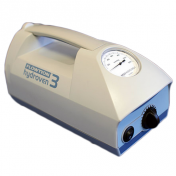 Longer length compression tubing and replacement battery packs, battery chargers can also be purchased at Flowtron DVT Accessories. 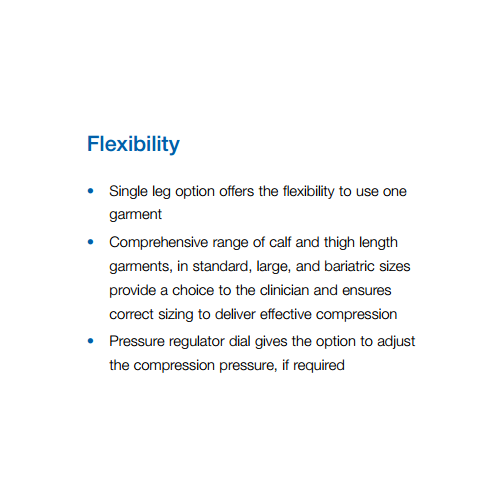 Offers calf and thigh compression. Dual and single leg mode operation. Audible and visual alarm indicators. 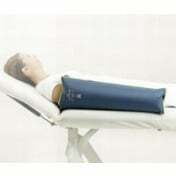 Suitable for DVT prophylaxix treatments. Reduce the incidence of Deep Vein Thromboisis. 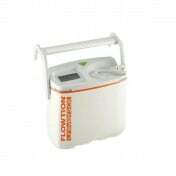 Huntleigh Flowtron Excel DVT Pump Product Number: 547001. Power: 230V, 50HZ, 35 VA Max. Pressure Range: 30 to 60 mmHG (±4 mmHG). Suggested Therapeutic Setting: 40 mmHg. 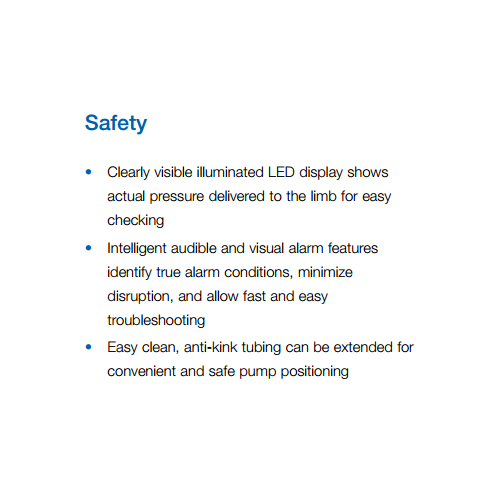 Flowtron Excel DVT Pump Brochure highlights the features and benefits of this DBT compression pump. 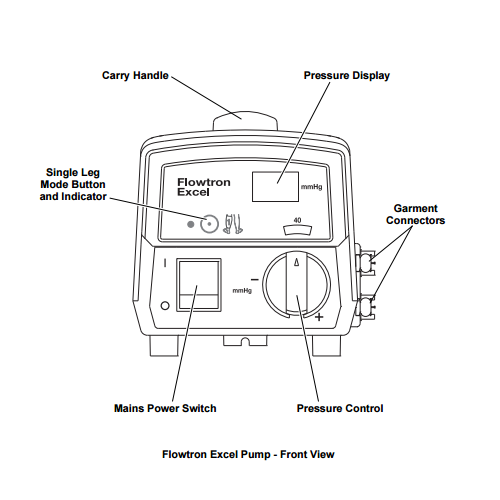 Flowtron Excel DVT Pump 547001 User Manual offers clinical applications, set up instructions, maintenance and troubleshooting information. Spencer FA, Lessard D, Emery C, Reed G, Goldberg RJ. Venous thromboembolism in the outpatient setting. Arch. Intern. Med. 2007;167:1471–1475. International Consensus Guidelines, International Angiology Vol.32-No 2 118-119. Morris RJ, Woodcock JP (2004). Evidenced based compression: prevention of stasis and deep vein thrombosis. Annals of Surgery; 239(2): 162-171. Kumar S, Walker M. The effects of intermittent pneumatic compression on the arterial and venous system of the lower limb: a review. Journal of Tissue Viability. 2002; 12(2): 58-65. Morris RJ, Giddings JC, Ralis HM, Jennings GM, Davies DA et al (2006). The influence of inflation rate on the hematologic and hemodynamic effects of intermittent pneumatic compression for deep vein thrombosis prophylaxis. Journal of Vascular Surgery; 44(5): 1039-1045. Westrich GH, Specht LM, Sharrock NE, Windsor RE, Sculco TP, Haas SB, Trombley JF, Peterson M. Venous hemodynamics after total knee arthroplasty: evaluation of active dorsal to plantar flexion and several mechanical compression devices. J Bone Joint Surg Br. 1998 Nov; 80(6):1057-66. 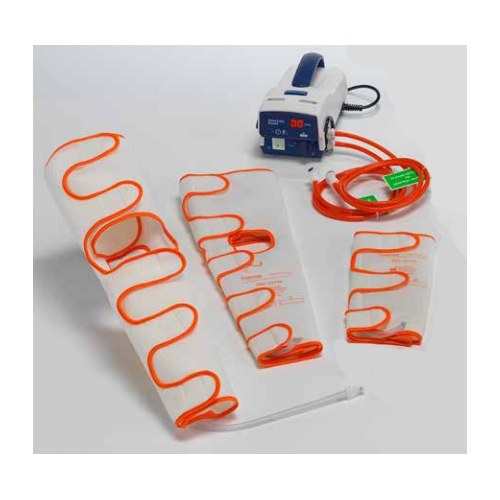 Flam E, Berry S, Coyle A, Dardik H, Raab L. Blood-flow augmentation of intermittent pneumatic compression systems used for the prevention of deep vein thrombosis prior to surgery. Am J Surg. 1996;171:312-5. Pidala MJ, Donovan DL, Kepley RF. A prospective study on intermittent pneumatic compression in the prevention of deep vein thrombosis in patients undergoing total hip or total knee replacement. Surg Gynecol Obstet. 1992 Jul;175(1):47-51. Ginzburg E, Cohn SM, Lopez J, Jackowski J, Brown M, Hameed SM. Randomized clinical trial of intermittent pneumatic compression and low molecular weight heparin in trauma. Br J Surg. 2003 Nov;90(11):1338-44. Stone MH, Limb D, Campbell P, Stead D, Culleton G. A comparison of intermittent calf compression and enoxaparin for thromboprophylaxis in total hip replacement. A pilot study. Int Orthop. 1996;20(6):367-9. Proctor MD, Greenfield LJ, Wakefield TW, Zajkowski PJ. 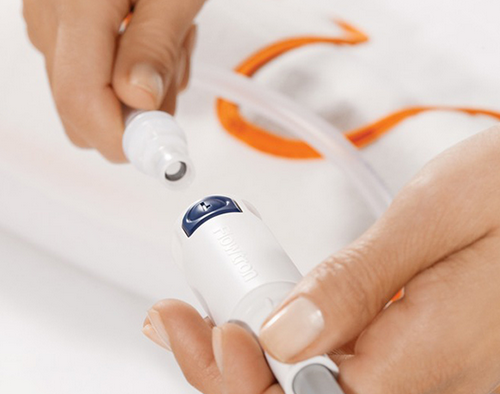 A clinical comparison of pneumatic compression devices: the basis for selection. J Vasc Surg. 2001 Sep;34(3):459-63. National Institute for Health and Clinical Excellence (NICE) (2009). Clinical Guideline CG92 venous thromboembolism: reducing the risk of venous thromboembolism (deep vein thrombosis and pulmonary embolism) in patients admitted to hospital. www.nice.org.uk. Vanek VW. Meta-analysis of effectiveness of intermittent pneumatic compression devices with a comparison of thigh-high to knee-high sleeves. Am Surg. 1998 Nov;64(11):1050-8. Colwell CW, Froimson MI, Mont MA, Ritter MA, Trousdale RT, Buehler KC, Spitzer A, Donaldson TK, Padgett DE. Thrombosis prevention after total hip arthroplasty: a prospective, randomized trial comparing a mobile compression device with low-molecular-weight heparin. J Bone Joint Surg Am. 2010 Mar;92(3):527-35. Clarke Moloney M, Lyons GM, Breen P, Burke PE, Grace PA. Haemodynamic study examining the response of venous blood flow to electrical stimulation of the gastrocnemius muscle in patients with chronic venous disease. Eur J Vasc Endovasc Surg. 2006 Mar; 31(3): 300-5. Stryker Sustainability Solutions. 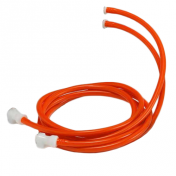 A Review of Pneumatic Compression Systems: The Science Behind Restep. Andrews B, Sommerville K, Austin S, Wilson N, Browse NL. Effect of foot compression on the velocity and volume of blood flow in the deep veins. Br. J. Surg. 1993 Feb;80(2):198-200. Delis KT, Husmann MJ, Szendro G, Peters NS, Wolfe JHN, Mansfield AO. Haemodynamic effect of intermittent pneumatic compression of the leg after infrainguinal arterial bypass grafting. Br J Surg. 2004 Apr;91(4):429-34. Westrich GH, Specht LM, Sharrock NE, Sculco TP, Salvati EA, Pellicci PM, Trombley JF, Peterson M. Pneumatic compression hemodynamics in total hip arthroplasty. Clin Orthop Relat Res. 2000 Mar;(372):180-91. Each purchase is for a new pump. We do not sell this item used. 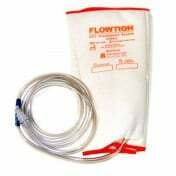 I am Greg from Malaysia searching for flowtron excel (DVT) system for my client. Kindly advice for the nearest supplier in my country. We do not have suppliers over seas. We can; however, ship the item to other countries. Sleeves are not included with this item. 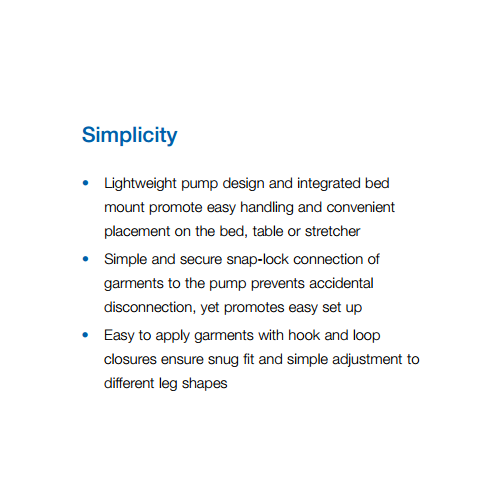 There are pump accessories visible at the bottom of the product page. 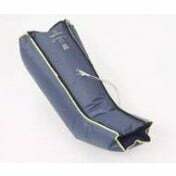 A few are available at the following pages: vitalitymedical.com/huntleigh-flowtron-hydroven-3-garments-and-inserts.html, vitalitymedical.com/huntleigh-flowtron-fpr-lymphedema-pump-sleeves-and-inserts.html. It got my mom her legs back! My mom, who has been in her bed for month, has got a problem with her legs. Blood circulation got worse and worse and it gave her a great deal of pain. Her doc advised me to get this and it has helped her to the great extent. It's not so cheap but I can say it's definitely worth it. Since I've been diagnosed with vein thrombosis, I have been in this kind of therapy. At first, I just go to a hospital to use their system. But then my husband said that I need to have one at home so that he may also be able to use it for him to avoid having thrombosis as well. So glad we made the purchase because not only it is easy to use, it also eases the pain that I'm feeling in my thighs. Since I became stuck to my bed for a long period of time my legs started hurting. When the doctor said that the blood was not flowing he recommended this and my legs stopped hurting. It is even better now when I get out of bed. I can walk without the pain in my legs and the swelling went down.